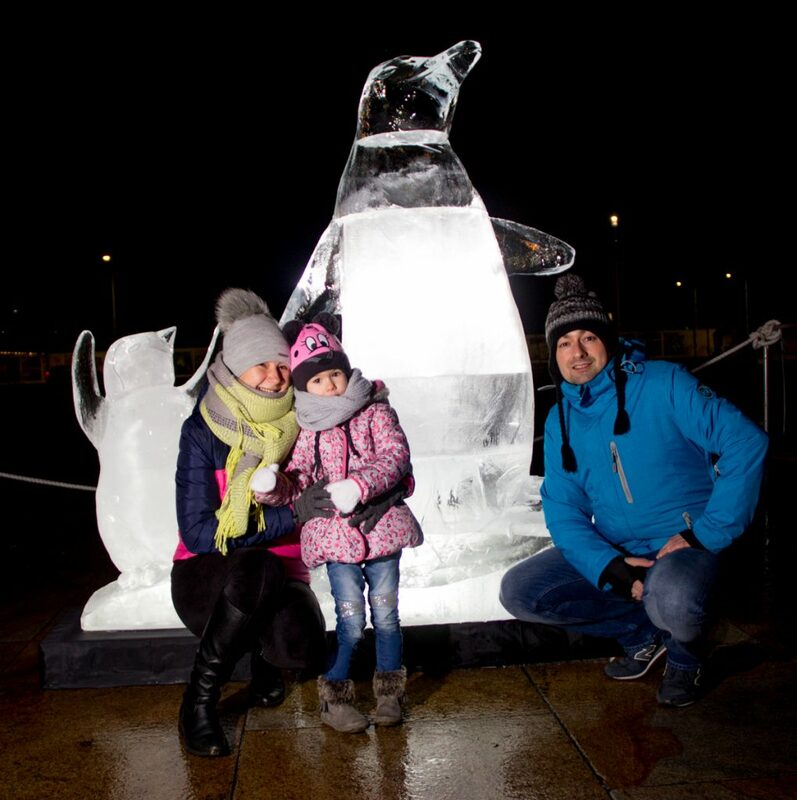 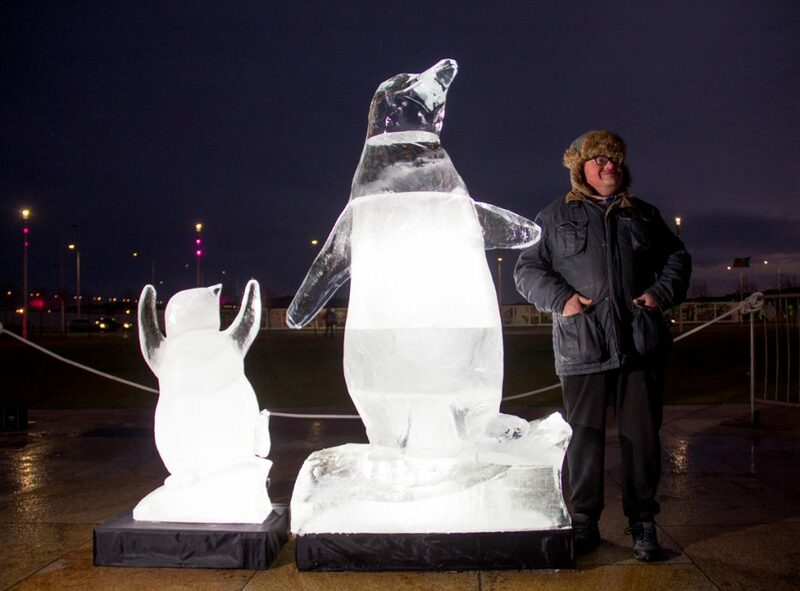 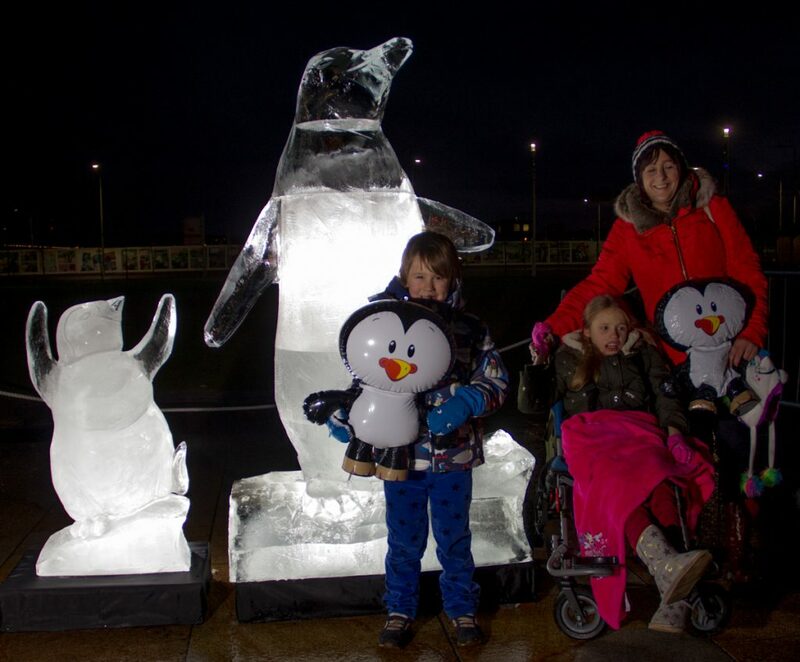 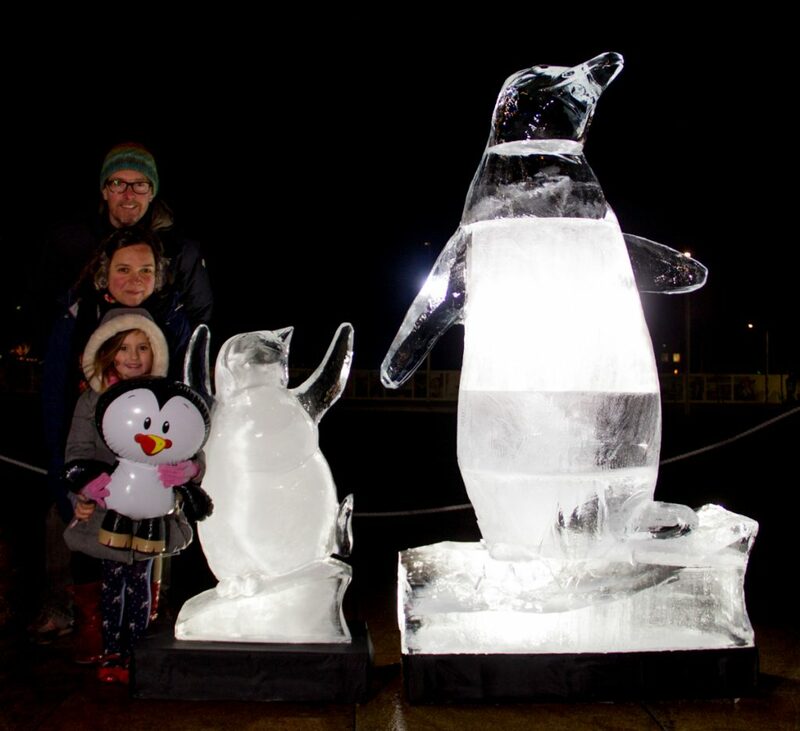 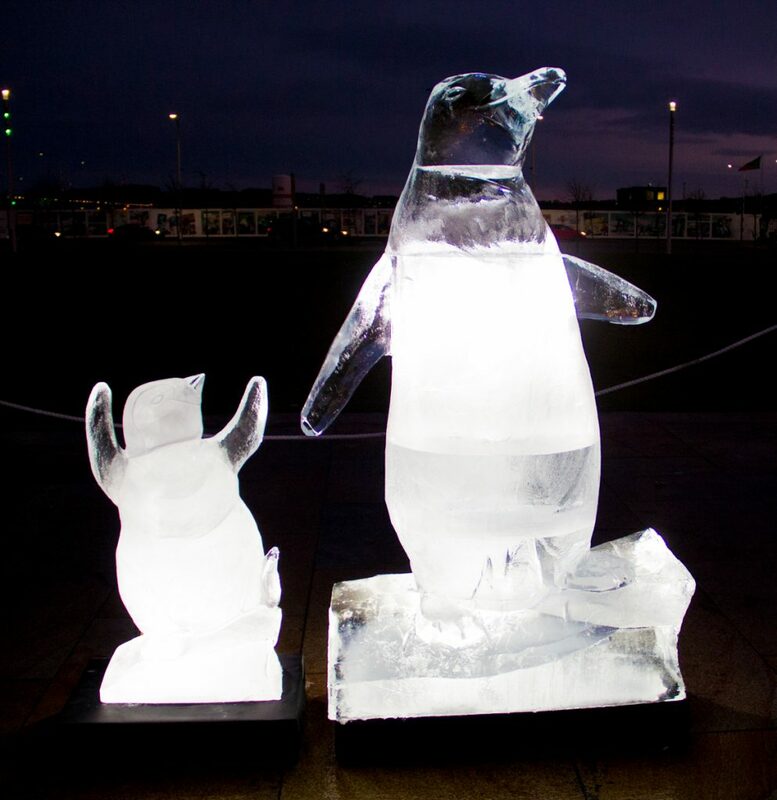 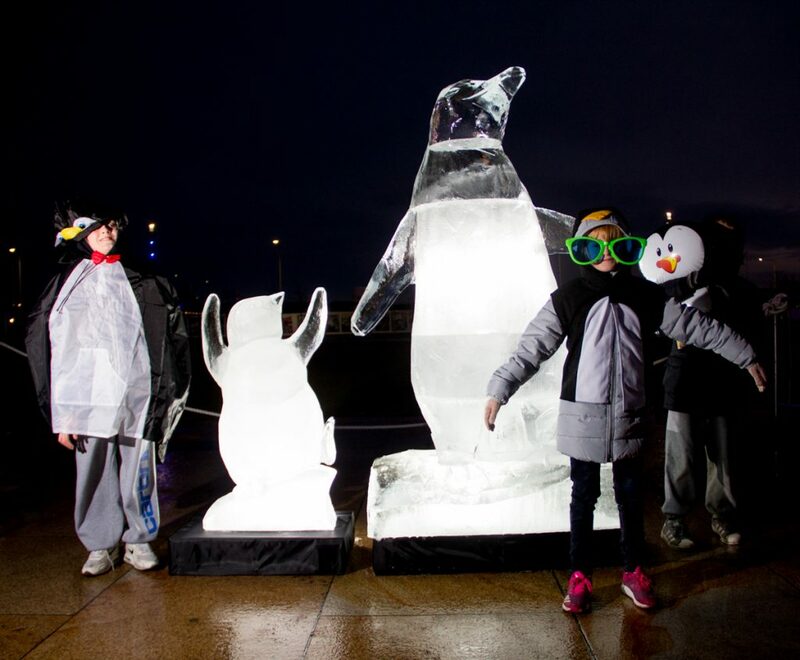 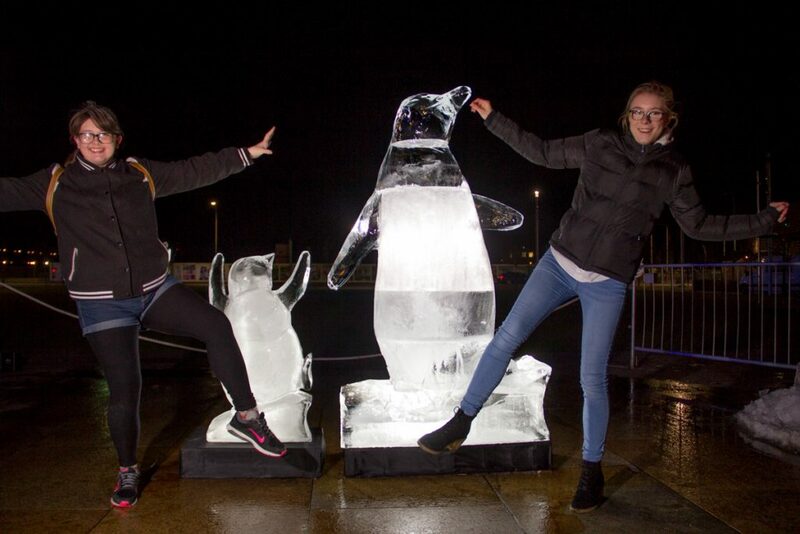 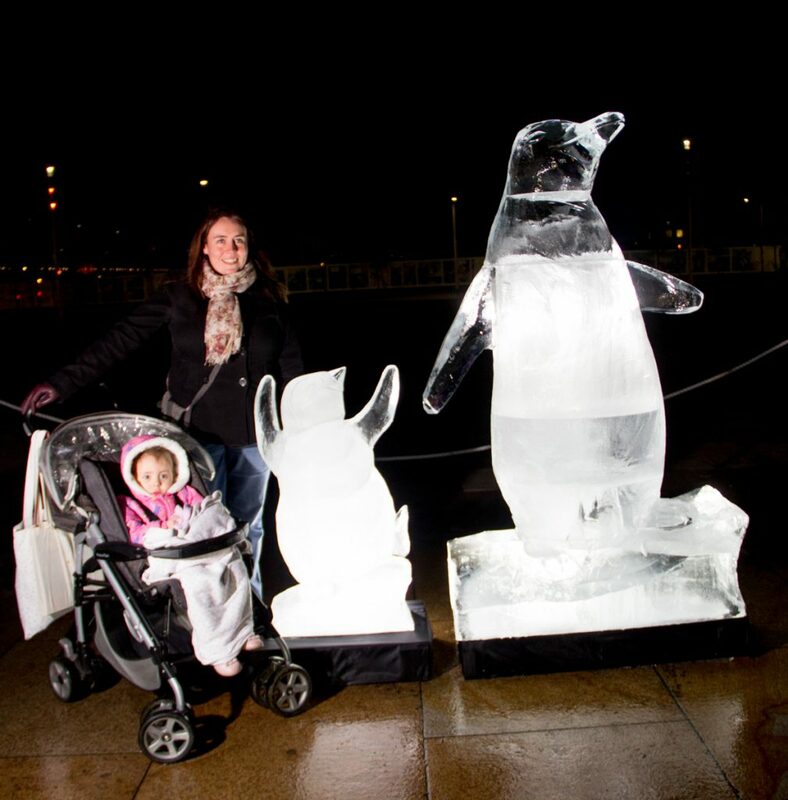 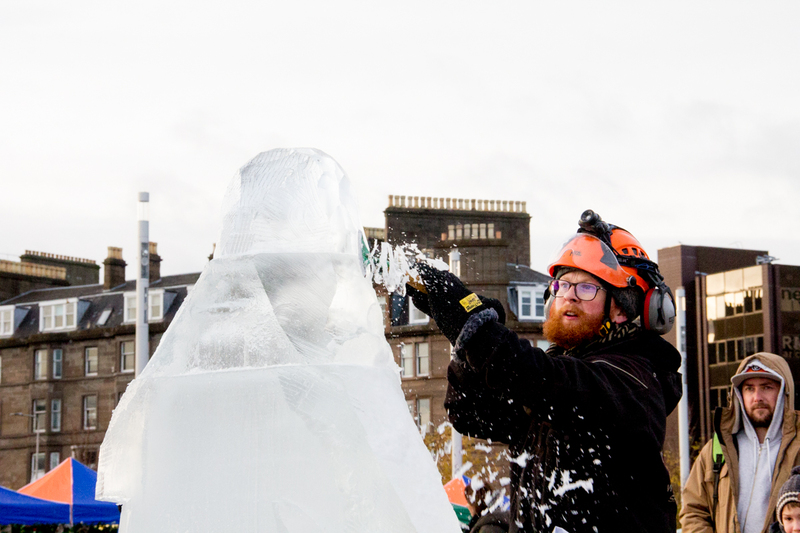 It’s been a while since we last made an ice sculpture in Scotland, so it was lovely to be contacted by Dundee City Council to come up to Scotland to make some penguins for Dundee City Light Nights celebrations. 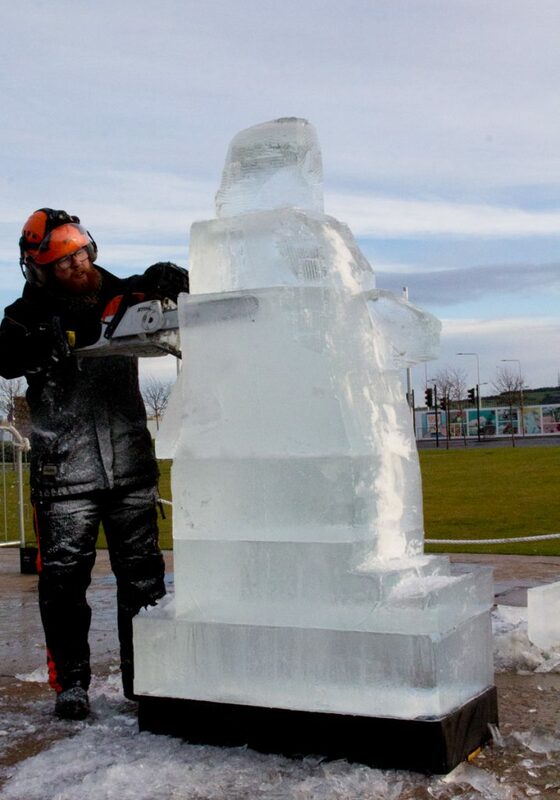 The live carve ice sculpture was well underway. 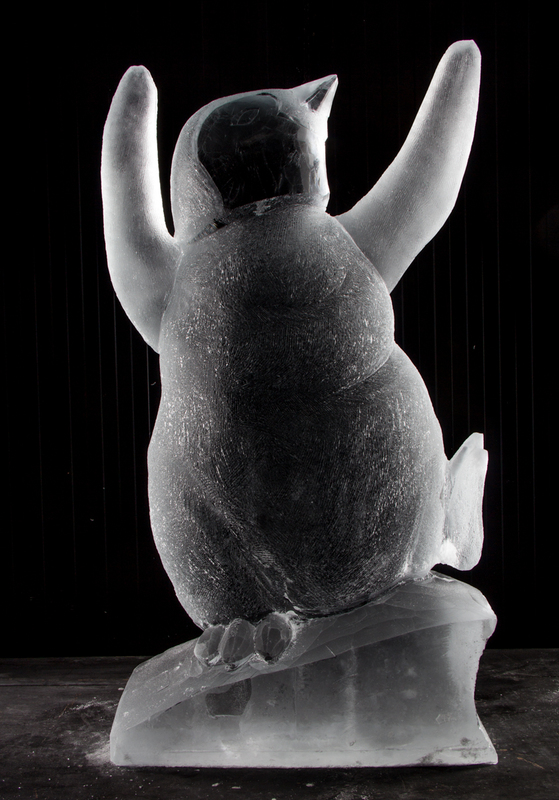 It was a pretty cold day, so the little pre carved penguin was kept nice and chilled on the journey. 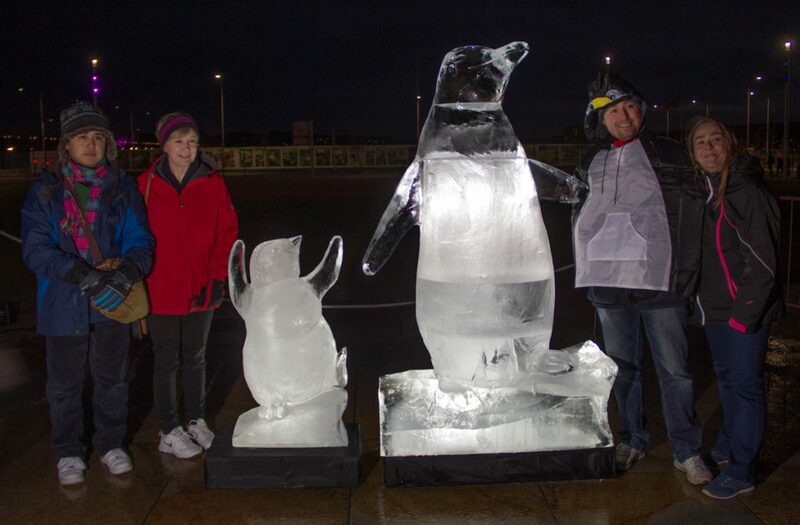 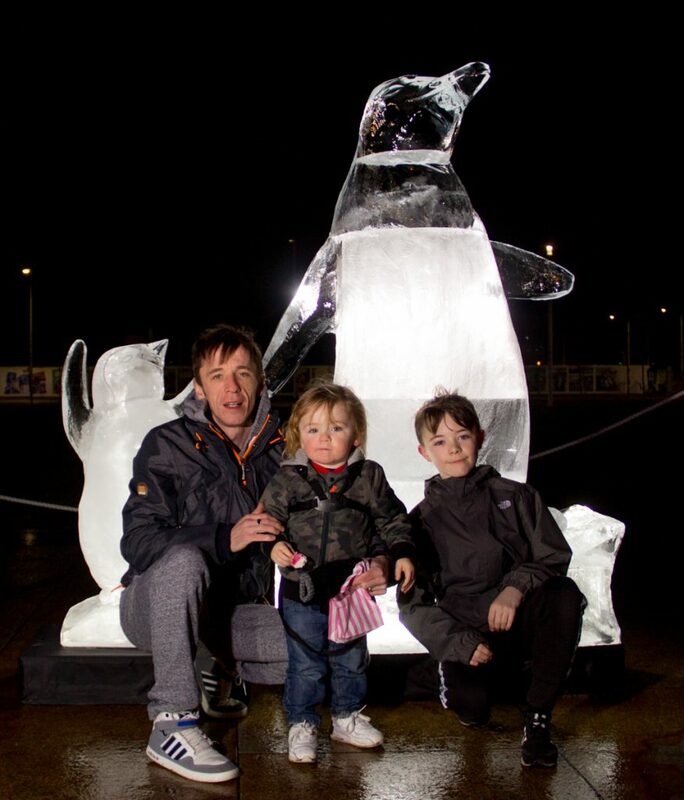 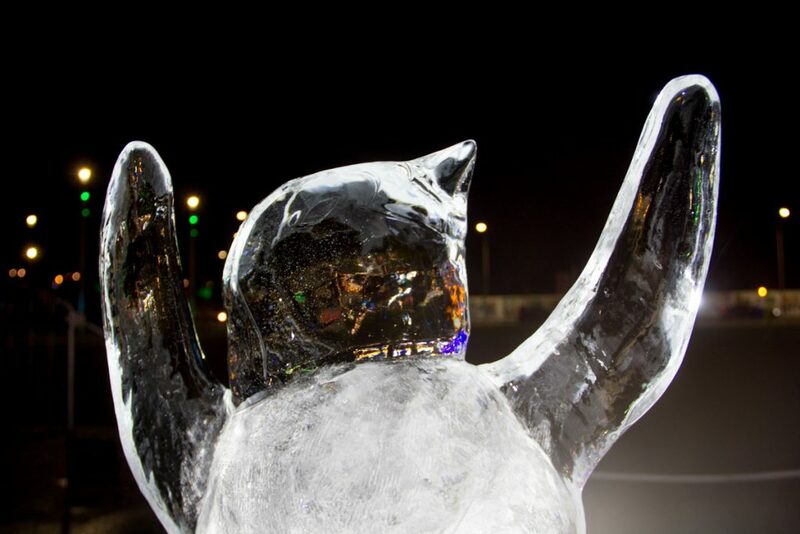 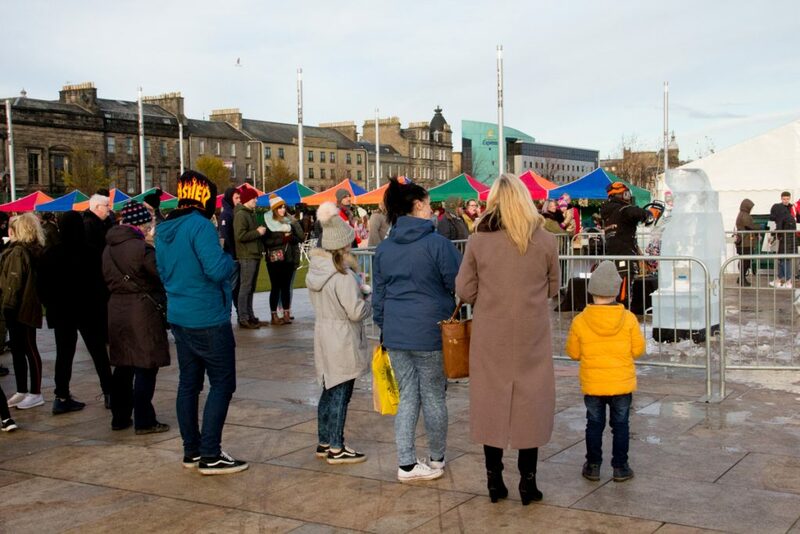 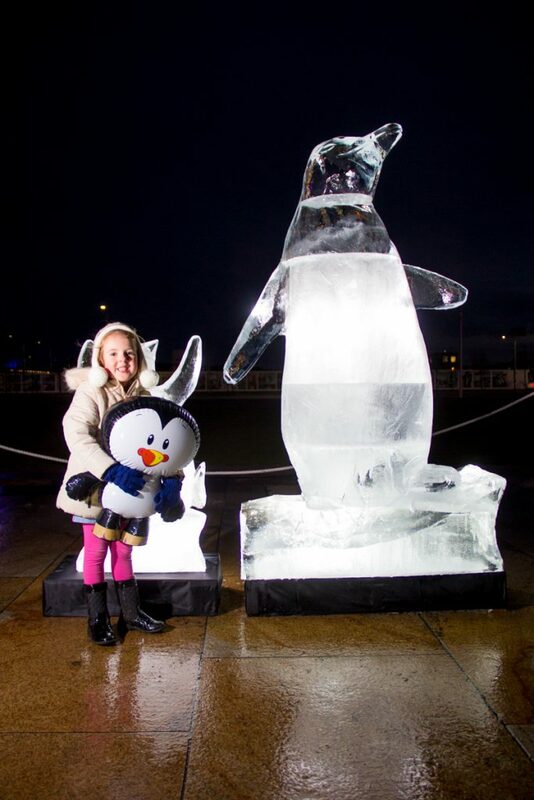 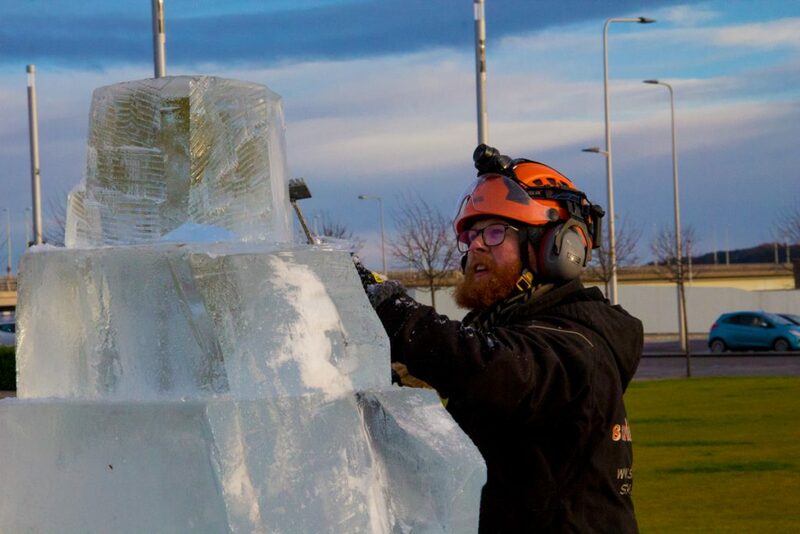 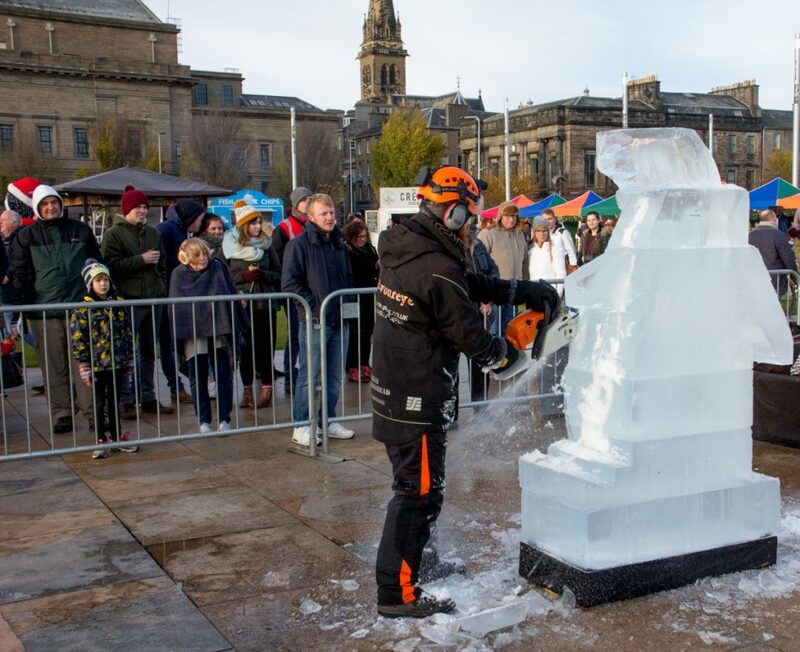 Jamie and Rich got to work and created a live carved ice sculpture of a huge penguin for the public to enjoy as part of the Christmas entertainment in the city. 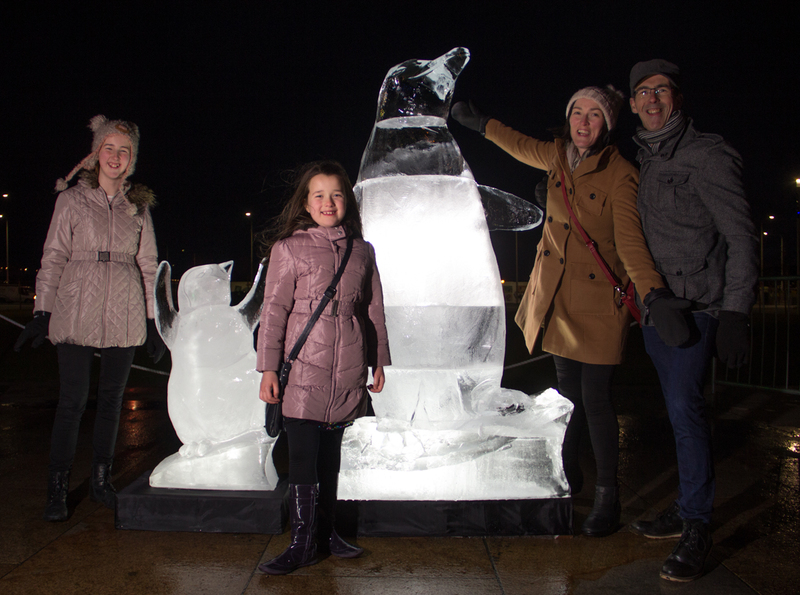 Once the ice sculpture was complete, we had our trusty dress up box and everyone got into the festive spirit and had their photos taken with the penguins. 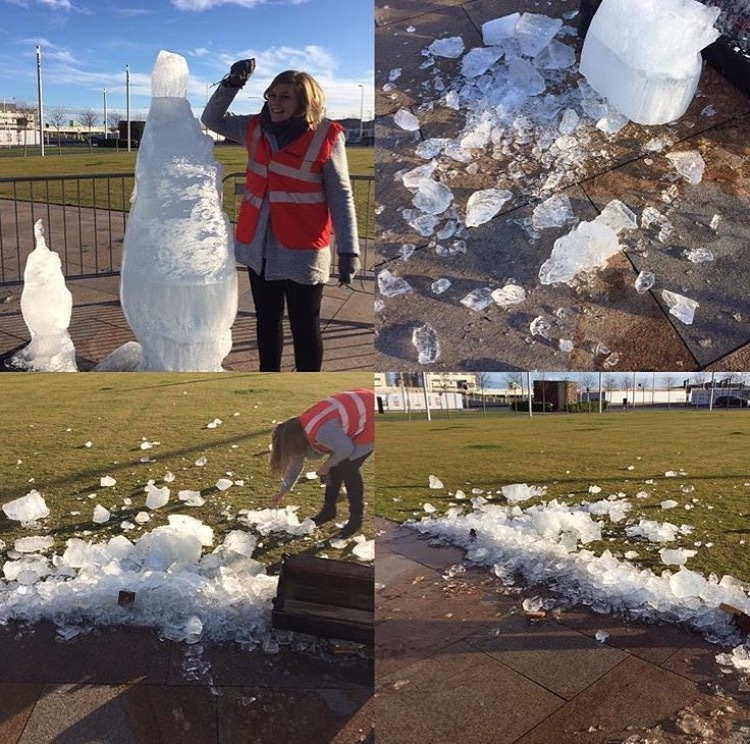 It is always a pleasure to work with such lovely clients as the team in Dundee, even though Annie had a little too much fun breaking down the ice sculpture at the end of the weekend! 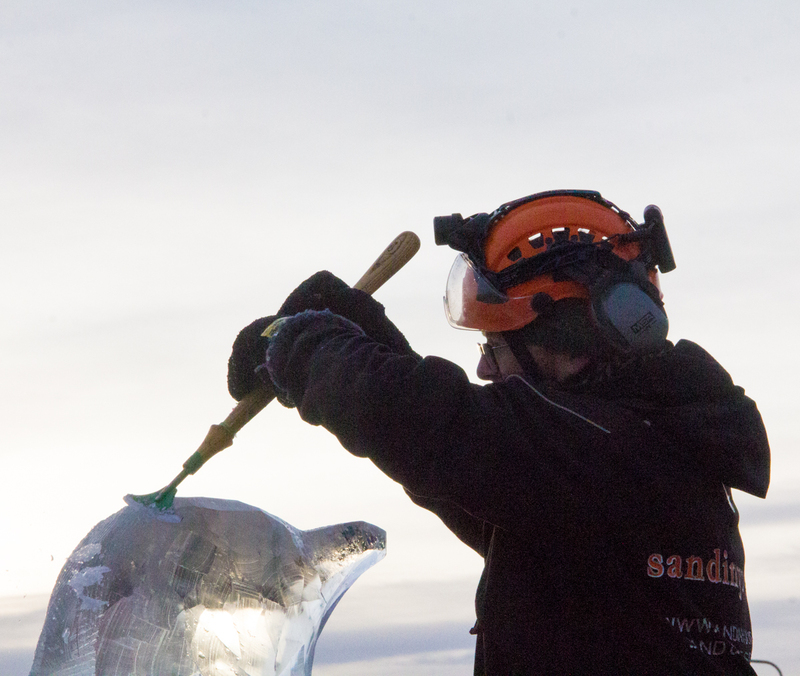 Annie breaking down the ice sculptures!